Mules have gotten a complete makeover this past year- and I hate to be that girl, but they’re totally in. They give that perfect balance of formal, yet casual to any outfit. 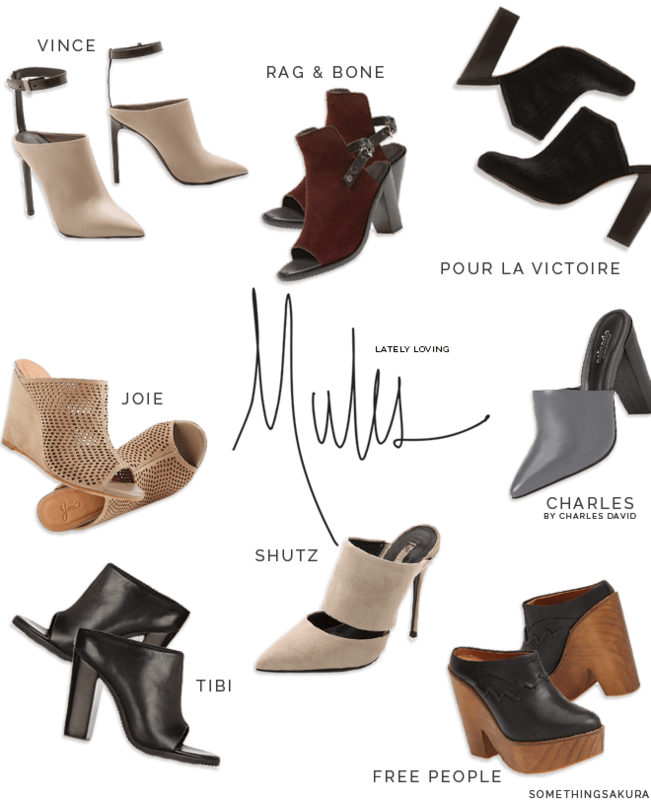 I especially think they’re the perfect type of shoes for the fall/winter season in Arizona since we barely hit the 50s, and you can definitely wear mules in the summer! You can never go wrong with the plain black leather mules by Tibi as you can wear them all year!